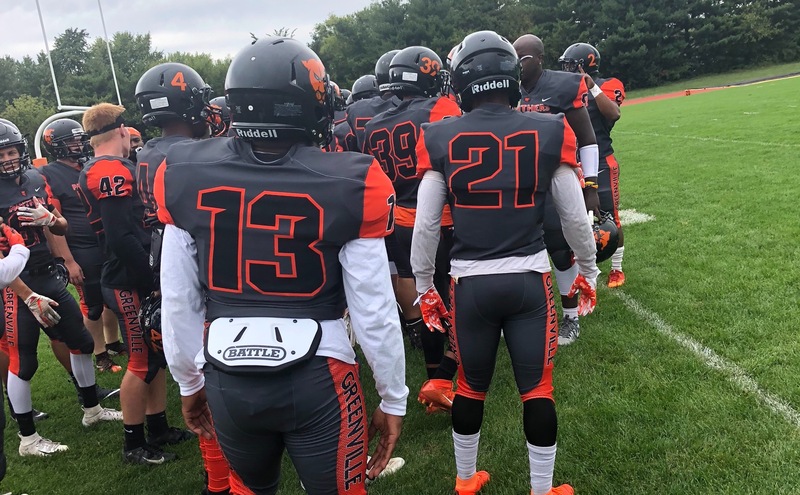 Facing adversity this season, the Greenville University Panthers football team found themselves sitting at 0-4 entering this key conference game against Westminster College. In the past, Westminster has gotten the best of the Panthers by holding a winning streak over the Panthers since the 2015 football season. Coming into this game, the Panthers were projected to get stomped on by Westminster, but the Panthers had other plans in mind, by coming together and executing on the things that needed to be done. This earned them their first win of the season, claiming a 24-20 victory. Eric Kranh fights for the first down. This game was a fun one to witness. As the game came down to the final seconds, junior quarterback, George Harris, scored the go-ahead game-winning touchdown to gain the lead with 38 seconds left on the clock. This move finished off a 52-yard drive that took a total of 1 minute and 34 seconds. To end the game, the Panthers made a huge defensive stop, winning the game in regulation time. Leading the offense was freshman running back Courtney Mitchell with his first career start. He finished the game with a total of 22 carries for 189 yards rushing but was short of scoring a touchdown. 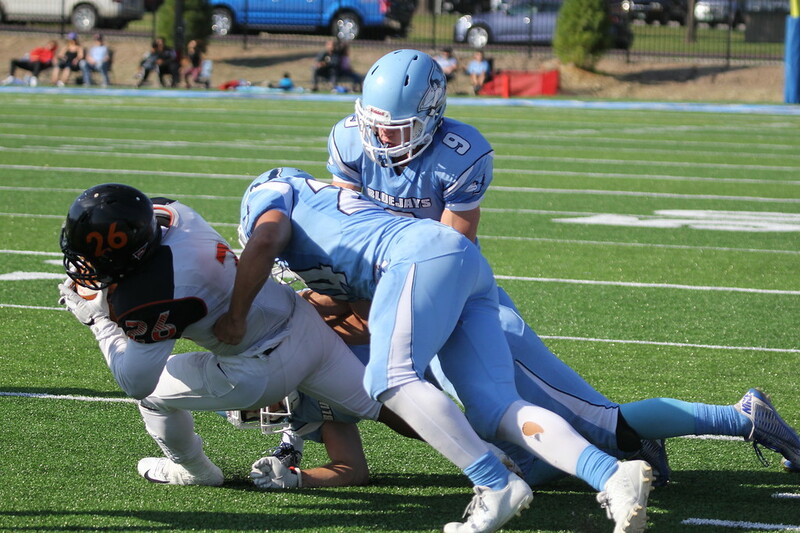 Leading the defense was a sophomore linebacker, Bryson Johnson with 9 tackles and junior defensive end, Herman Esquivel with a couple of key sacks to stop Westminster’s offense. 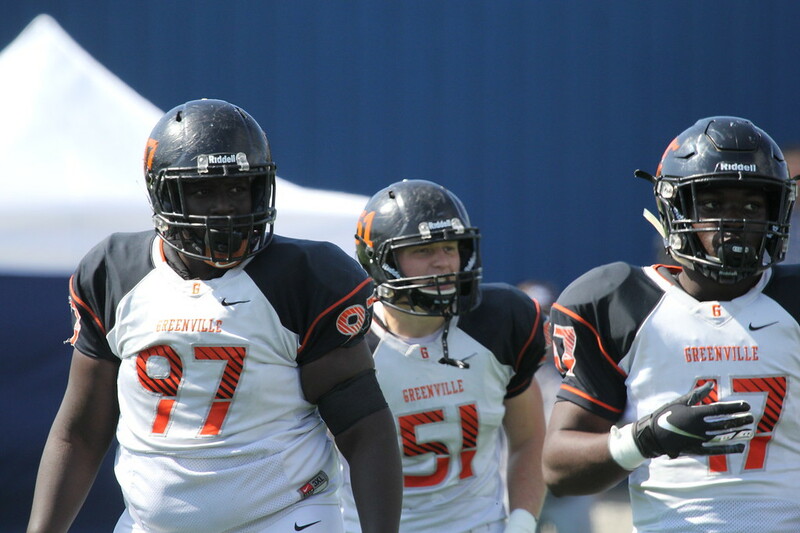 Greenville Defense. Media By Dana Fitch. Now that week five has arrived, the Panthers are currently on a by-week, which unfortunately means there will be no games played this Saturday. However, next weekend the Panthers will continue to roll on. 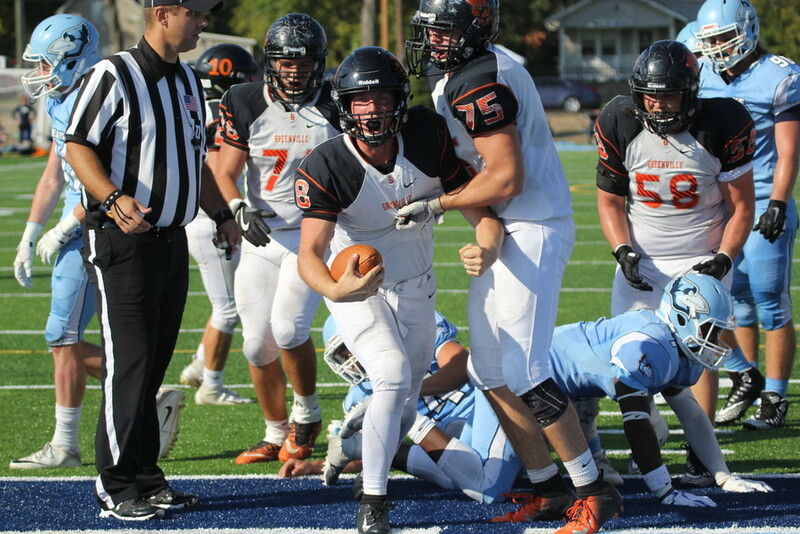 Coming off their by-week, the Panthers will be playing the College of St. Scholastica Saints, which is also a team that the Panthers will be an underdog to, due to the history between the two schools, since the Panthers joined the UMAC conference. The Panthers know that their main focus coming into the week is the importance of execution and focus. The Panthers will be facing a team that has an explosive passing offense and a defense that is pretty sound. Therefore, the Panthers defense needs an edge over the Saints offense. The importance of discipline comes into play big time. For the offense, the importance of execution comes into play. If the Panthers can live up to those expectations, they should have a great shot at winning this game and pulling the upset, because winning streaks don’t last forever. The Panthers pre-game huddle. Media By Justin Willis. After the away game next weekend, the Panthers still have two more home games remaining. If you are in need of plans in the next couple of weeks, you still have a chance to come out and support the Panthers as they face Crown College for Homecoming on October 20 and Macmurray on October 27.